New Brunswick is a vast province of Canada, boasting a strong connection to the sea. As a Maritime province, much of the local cuisine consists of seafood and its ilk, with other traditional Canadian dishes mixed in for good measure. 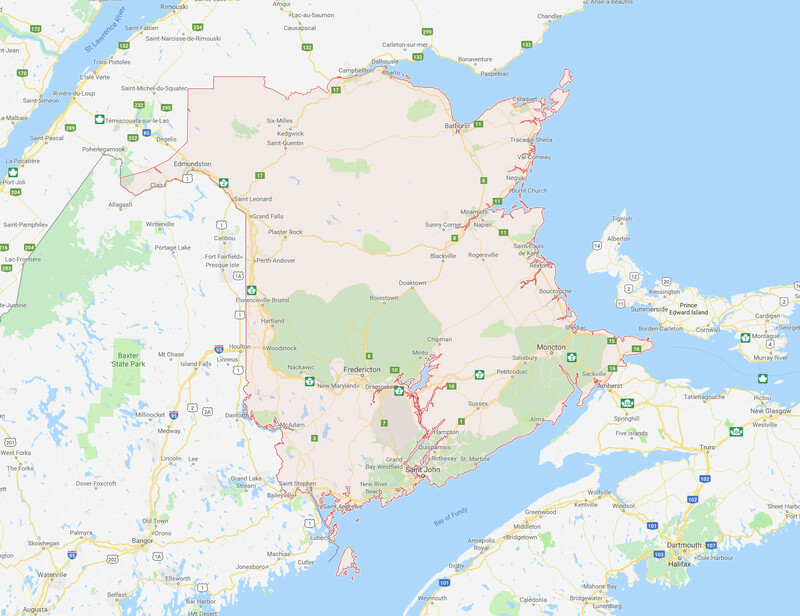 Here, we’ll be exploring the restaurants on offer in three of the biggest settlements of New Brunswick: Moncton, Saint John, and Fredericton. Being major cities of the province, they each play host to a wide range of restaurants and cuisines to excite all visitors to the area and locals looking to try something new. 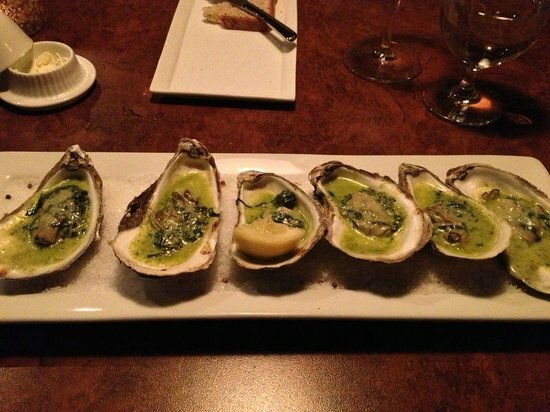 If you want to sink into the seafood and Canadian dishes that New Brunswick has become known for, you’d best start in the top-class restaurant of Little Louis’ Oyster Bar. It’s a somewhat pricey establishment, but once you get a taste of the food, you’ll know exactly why. Little Louis’ offers a huge range of dishes, from tuna and beef marrow, salads and soups, all the way to lamb, duck, halibut, and black cod. It’s a fine eatery that also offers vegetarian-friendly meals and gluten-free options. For something a little less pricey but packed with flavour, make your way down to Blue Olive. Specializing in Moroccan, Tunisian, Lebanese, and some other Mediterranean-inspired dishes, Blue Olive has earned a lot of praise for its specialized offering at moderate pricing. This restaurant has a vast menu and caters to vegetarians and vegans as well as having Halal and gluten-free choices. But perhaps you just want to grab something quick and cheap to eat, but still enjoy some great flavours: in this case, check out Zio’s Pizzeria. Their nice, cheap menu that specializes in pizzas has earned a lot of praise from locals. Also, you don’t have to take away, as around the back is their Italian Restaurant. 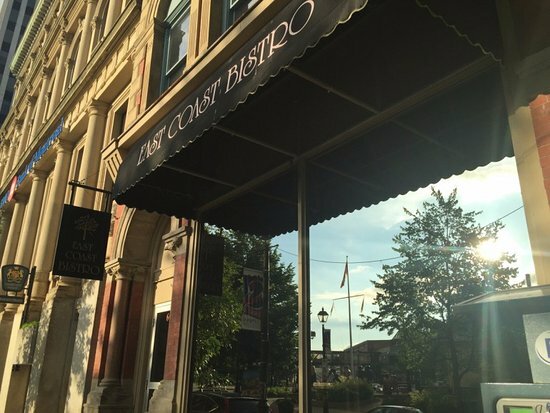 If you’re venturing into Saint John and want a taste of Canadian-style seafood, East Coast Bistro will be able to cater to your needs – and then some. The moderately priced restaurant boasts a seasonal menu derived from the finest maritime ingredients. To add to the local feel of East Coast Bistro, they also serve local beers. Despite specializing in seafood dishes, they also cater to vegetarians and vegans while also having gluten-free options. Some vegetarians and vegans prefer to eat at places that only practice in such cooking, which is why Vegolution opened in Saint John. The city’s first vegan and vegetarian restaurant has a full offering not just for a night out, but also for lunch, and they offer a Grab & Go menu. As for drinks, you’ll be happy to hear that vegan wines feature prominently on the list, as do local beers. Italian food is one of the most popular cuisines around the world, and one place that absolutely nails it in New Brunswick is Italian By Night. The restaurant décor, menu, ingredients, and expertise of the chef are all centred around delivering a full Italian experience, and not just great Italian food. It’s one of the more pricey venues in Saint John, but it’s well worth it for an authentic evening of Italian dishes. Fredericton is found much further inland than Saint John and Moncton but boasts a fantastic range of places to enjoy top-quality food. 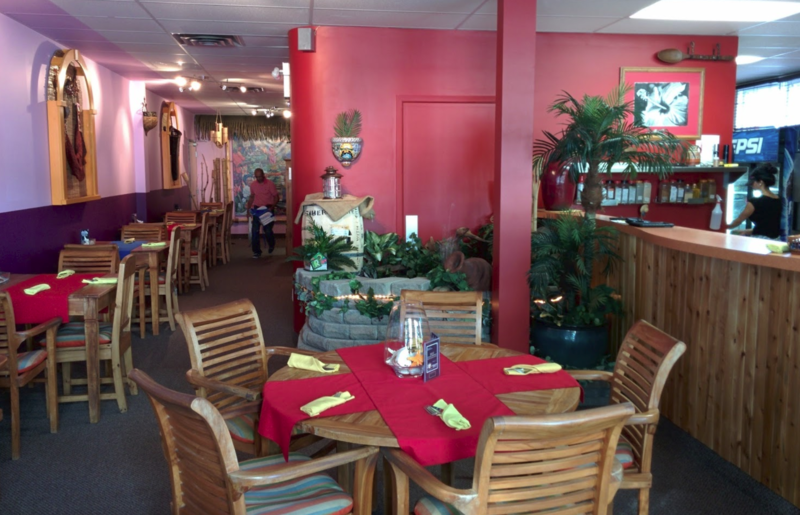 At Caribbean Flavas Restaurant & Catering, you can enjoy the warming spices of Caribbean food mixed in with local delicacies and sometimes Indian food. The casual fusion restaurant has received many awards and catered to a string of celebrities, and yet its pricing is very moderate. Specializing in meat and seafood, Sam Snead’s Oak Grill & Tavern offers unique flavours credited to being flame-grilled on locally-cured oak. The former American professional golfer’s venue is moderately priced and features a diverse menu. Even though they specialize in meat and fish, there are also vegetarian, vegan, and gluten-free options available. 11th Mile is highly rated by those who enjoy a social and sharing eating experience, with the restaurant offering a huge range of different food to be delivered on small plates or big sharing platters. As the chef owns the restaurant, you know that you’ll be given top-class food created in the chef’s vision with every order. New Brunswick has a huge range of incredible restaurants to enjoy, with these nine in Moncton, Saint John, and Fredericton being among the most tantalizing.